This is pretty amazing. Gary Brasher, 51 years old, completed three IronMan distance triathlons in three consecutive days, ending with the Ford IronMan Arizona. Here’s the website. An amazing story but aren’t all Ironman stories amazing in some regard? It’s about the personal stories, the obstacles, the triumph over themselves if nothing else. This excerpt is reprinted with permission by Human Kinetics. friend through the chaos of arms and legs splashing through the water. where she was kicked so hard in the nose and lips that she saw stars. conclusion of the 2.4-mile (3.9 km) swim. while training for one of the toughest endurance events in the world. endurance or if all of the pounding would harm the hamstring. age group. But the woman in second was only eight minutes behind. clock was closing in on 11 hours. pumped her arms triumphantly and smiled and waved to the crowd. sparkle in her eyes grew as distant as a fallen prizefighter’s. little remained in her stomach. in the groove for her next race a month later in Clearwater, Florida. Ironman and sleepwalked her way through work for the rest of the week. stayed an extra two weeks in Kona to recuperate and resume training. Strengthening can be a part of your routine and many might say say it should be. 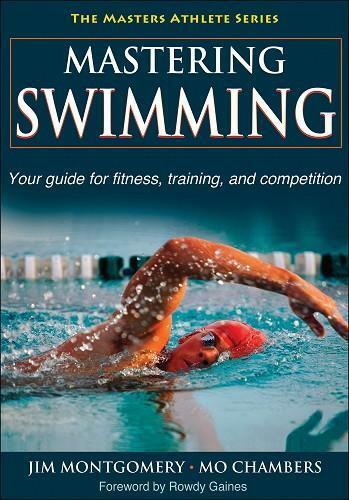 Triathlon, multi-sport, uses many of the muscles in your body during a race or brick work-out. I like researching question like, “How can a muscle be strong and flexible?” “Is strength just the capacity for movement in relation to distance and time?” If so, strength training will always play a part of my training. Here’s an excerpt titled, “Developed back muscles prevent cycling injuries”, from Cycling Anatomy, reprinted here by permission of Human Kenetics. 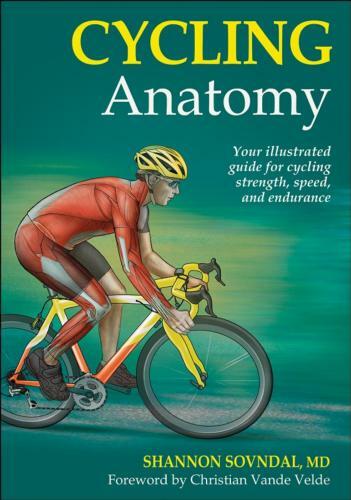 One of the best things about this book is each exercise is explained in detail including which muscles are used, and how exercising that muscle groups is useful in cycling. 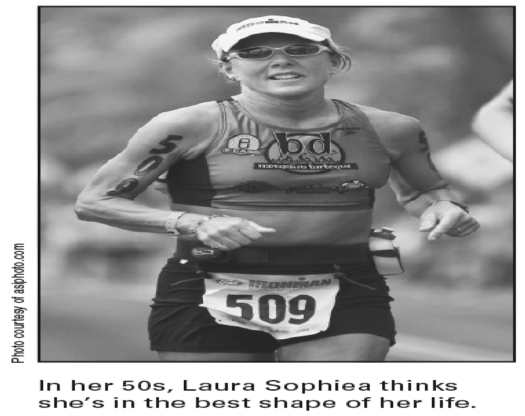 “The importance of a strong and fit back cannot be overemphasized. The back and spine provide the foundation for almost every activity performed, and cycling is no exception. Unfortunately, back problems are a frequent complaint of cyclists. Because of the bent-over position on a bike, back muscles are constantly engaged. This stress can wreak havoc on the body if it isn’t conditioned and trained to withstand the ongoing effort. In addition to withstanding the strain of the cyclists’ position, the back must also provide a solid base that enables a cyclist to generate power during their pedal stroke. 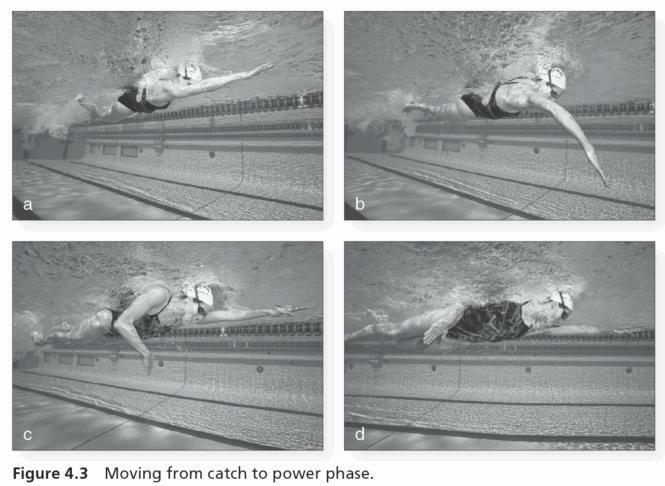 Back muscles stabilize the spine and pelvis, allowing the legs to generate maximal power. The best strategy for a healthy back is to proactively condition the body to avoid any problems before they arise. Take time to build strength in the back—this will pay dividends in the long run. Lie with the lower abdomen draped over a stability ball. Slowly lower the arm and leg. Curl the body around the stability ball. Repeat the exercise using your other arm and leg.